From what we’ve seen so far, the biggest Galaxy S9 design change might be its new camera layout. Samsung is expected to switch to a vertical camera layout for the Galaxy S9 and Galaxy S9+. The fingerprint sensor will be positioned underneath the sensor as we’ve seen in countless leaked renders. 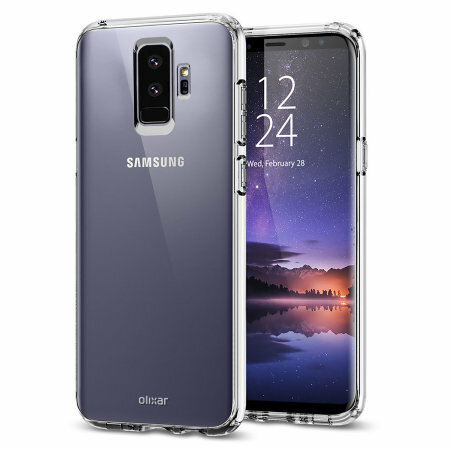 A couple of Galaxy S9 and Galaxy S9+ case renders have surfaced online. They also highlight the new camera layout that we’ll be seeing on these devices. Countless rumors and reports about the Galaxy S9 have revealed that the handset is going to have a new camera layout. The vertical layout will have the fingerprint sensor positioned below the sensor. The heart rate sensor will also be repositioned. The leaked Galaxy S9 renders we’ve seen so far have highlighted these changes. As previously mentioned, these are likely the biggest design changes that we’ll see on the new flagships. The Galaxy S9+ is said to feature a dual camera system and the handset’s case render reiterates that possibility. The position of the sensors remains the same on the larger handset. It’s still a bit early for case renders to surface. We’ll surely see a lot more of them in the days to come. Samsung is expected to unveil the Galaxy S9 at MWC 2018 in February. Exactly, the ‘+’ should only stand for a bigger sized device, not a “better” device. a better device, deserves a better name and its own limelight. Really is having the fingerprint sensor underneath the camera lens any better? The date is on the phone. February 28. Samsung make great tech but this is just stupid. I hope they do not do this with the S series. been defending Samsung for years when people say they copy apple and there is no other reason for them to do this except to follow Apples strategy; not impressed. You mean they stole the concept of improving on their bigger, more expensive model(Note) over the smaller version?? As I recall they were doing that wayyyyy before apple came out with their Plus models. No, I’d say the S series is a different market from the Note series, at least it was at first. turns out,, LOTS of people like large screen phones, so the market lines have been blurred. yet the Note always appears as the bigger, more powerful phone. BUT… the TWO Ss over the past few years appear to be gradually turning into an Apple-esque form of two different devices, instead of just two different sized devices, which is what the plus should be. 2016 tech?? Please enlighten me? As I read your comments lately and you spray a blanket of negativity on this site. Negativity? No, disappointment yes. Especially when holes were high for my next phone purchase! Are you happy for the normal s9 to be lower spec than the plus? Calm your tilts, nothing is written in concrete just yet and just because it won’t have a dual camera it doesn’t mean it’ll be 2016 tech. If your in need of a revolutionary new device hold it down until the Galaxy X comes around. For my understanding, a single lens can have 2018 tech in it? 2 lenses don’t mean it will be worse than a double-lensed camera. See the Pixel 2 for instance. Then why not also leave a single lense on the plus model?